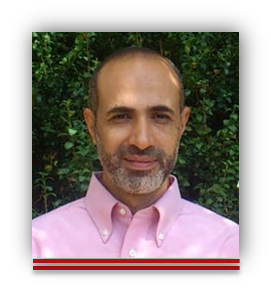 Haitham S. Hamza is the R&D Department Manager at the Software Engineering Competence Center (SECC) of ITIDA. He is currently managing the FP7 Project entitled REinforcing COoperation CApacity of Egypt in embedded ubiquitous computing (RECOCAPE) that is coordinated by SECC-ITIDA in a consortium that contains Tecnalia of Spain, VTT of Finland, and UNIBO of Italy. The project aims at transferring emerging IT technologies to the SME market in Egypt to enable and support innovation in ICT. 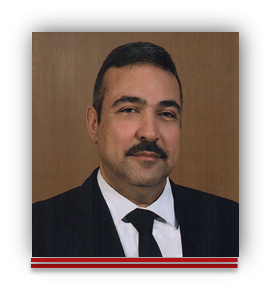 Dr. Hamza has delivered several consultation services to IT companies in Egypt and abroad in various areas related to IT service management (ITIL), CMMI for development and services, and software architectures and reuse. 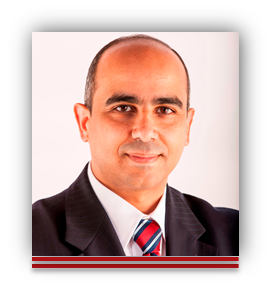 Dr. Hamza is an Associate Professor of Information Technology at Cairo University, Egypt. He received the B.S. (Honors) and the M.S. degree in Electronics and Communication Engineering from Cairo University, Cairo, Egypt, in 1998 and 2001, respectively. He received the M.S. and the PhD degrees in Computer Science from the University of Nebraska-Lincoln (UNL), USA in 2002 and 2006, respectively. He is a Fling fellow to the University of Nebraska-Lincoln. Dr. Hamza is the recipient of the Best Paper Award in the Optical Symposium of Broadnets in 2005. He is the recipient of the Graduate Teaching Assistant Award for the Collage of Art and Science in 2005, and the Outstanding Teaching Assistant Award in the Computer Science and Engineering department at UNL for Years 2003–2004 and 2004–2005. He also received the Graduate Research Assistant Award for the Collage of Art and Science in 2006. He has more than 90 papers published in international conferences and journals including IEEE/ACM Transaction on Networking, IEEE/OSA Journal of Lightwave Technology, IEEE Globecom, IEEE ICC, IEEE PIRMC, SEKE, SPLC in various areas in IT including computer and communication networks, software engineering, and computer science education issues. His current research interests include software modularity theory and Internet-of-Things (IoT) cross-layer analysis and optimization.